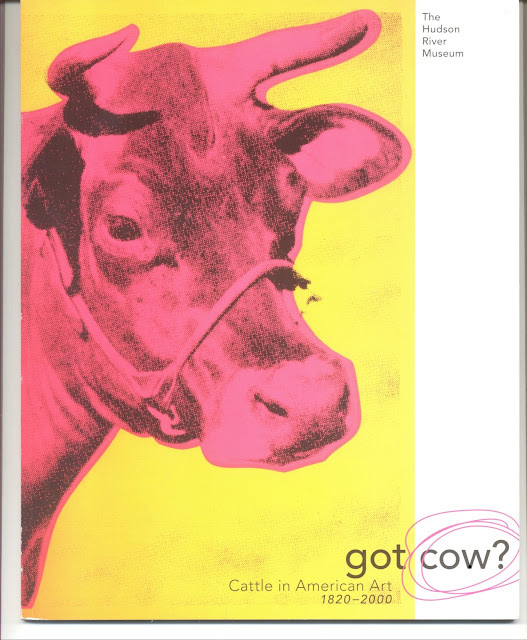 Catalogue from the exhibit entitled 'Got Cow? 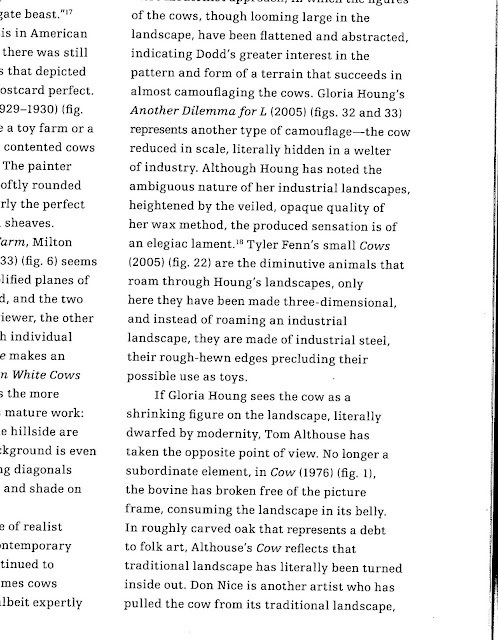 ', a retrospective of the cow in american art from 1800 to present. 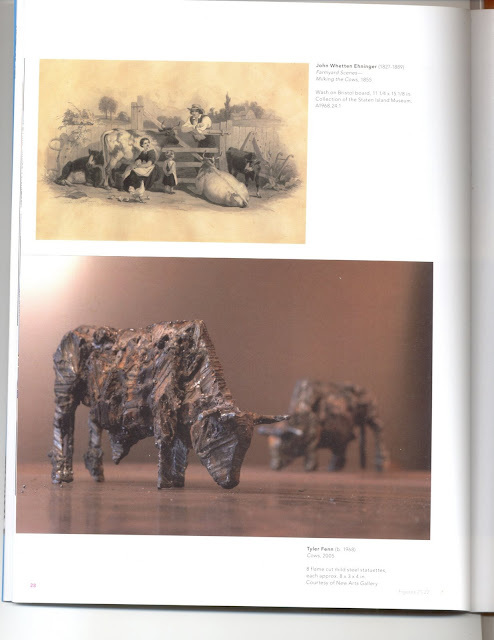 Eight of my palmsized cows, a selection from a herd of 30 represented by New Arts Gallery in Litchfield, Connecticut, were on display for the show alongside notable artists including Andy Warhol, Georgia O'keefe, Roy Lichtenstein, Norman Rockwell and others.